The US media is “losing its mind” over a totally common and transparent practice, RT’s head of communications has said, commenting on disclosed details of Michael Flynn’s paid appearance at a conference in Moscow which was never a secret in the first place. “This isn’t just a standard practice, this is a standard practice that is entirely transparent. 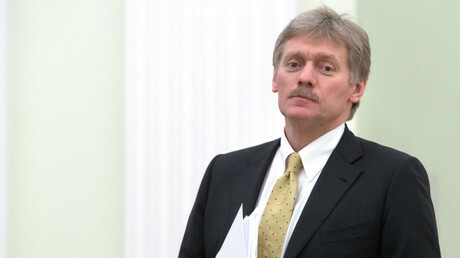 It’s commonplace not just in the United States, but in Washington, DC, in particular,” Anna Belkina, said, adding there are scores of agencies in the US that specialize in connecting public figures with events such as the international conference hosted by RT in Moscow in December 2015. The email exchange and attached documents, obtained by the House Oversight Committee and shared with the US media, include details of RT’s negotiations with Flynn’s speakers bureau — Leading Authorities— over the fee for his appearance. “The agency we reached out to specifically and very publically specialized in connecting Washington DC public figures and civil servants, officials with opportunities like that,” Belkina explained. But despite the documents being a standard of contract negotiations, the US media are “losing mind a little bit” over the alleged Russia-Flynn “ties,” making it a top and breaking news story, Belkina noted. However, what is more disturbing is that the partially blacked out papers, published by the Washington Post, still feature some RT employees’ names and other private data in blatant breach of the common expectation of privacy, Belkina noted. Neither Flynn nor RT ever made a secret of his paid appearance at the conference, but on the contrary, widely publicized the event that brought together several hundred public figures, experts, analysts and journalists from all over the world. “I do public speaking. It was in Russia. It was a paid speaking opportunity. I get paid so much. The speaker’s bureau got paid so much, based on our contract,” Flynn told the Washington Post back in August, rightfully refusing to name the exact sum he received. 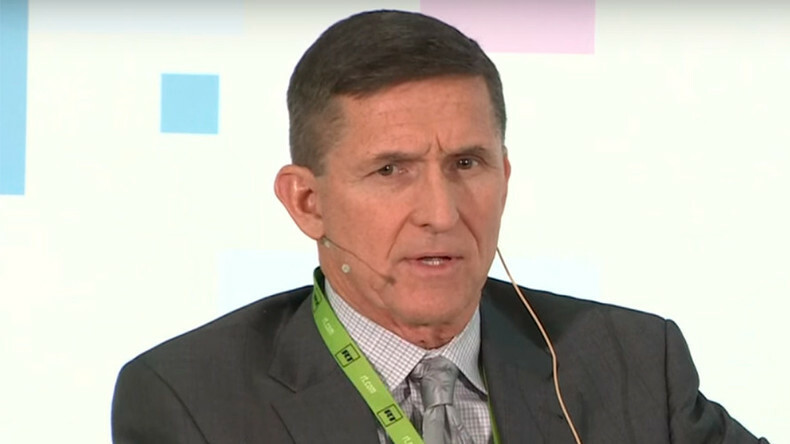 Flynn admitted and always displayed total transparency over the paid appearance at the RT-hosted event, even though as a private citizen at the time, he had no obligation to do so, former Pentagon official Michael Maloof believes. “I think what the Democrats are angling at is Michael Flynn having been national security advisor, and the fact that he was on RT which they perceive to be a Russian government entity that he should have registered as a ‘foreign agent,’” Maloof told RT. Trump’s national security advisor, Michael Flynn, had to step down amid mounting pressure on the new US presidential administration; caused by accusations that he was not fully sincere about his conversations with the Russian ambassador to the US, Sergey Kislyak. The latest speculation over Flynn’s alleged ties with Moscow is yet another “bogus, unfounded accusation,” believes retired US Army Major General Paul Vallely. 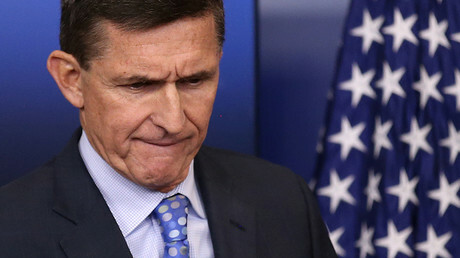 The new round of attacks on Michael Flynn is a part of the “deviant narrative,” which many American media outlets have been churning out for several months already to try and bring down Donald Trump, believes radio host Bryan Crabtree. “Many outlets in our country have gone hysterical by reporting the obvious, the natural and the normal as somehow radical. And leaving out just enough facts, like the fact that the speaker’s bureau is absolutely a normal thing that politicians do after they leaving office, or General or anyone high-ranking in Federal Government,” Crabtree said.